Mexico's government is drawing up a land reform to strengthen the rights of private companies dealing with rural landholders in a bid to lure investment and lift the economy, according to two people familiar with the plan. The legislation being drafted will draw on an energy reform completed last year that gave the government more power to act in favor of investors in disputes with communal landholders over usage of rural areas such as those known as ejidos, said the two officials from the government. Part of a wider agricultural reform, the sensitive issue of how to create a firmer legal footing for developers without inflaming protests from poor landholders is with the ministry of agrarian, territorial and urban development (SEDATU), the sources said on condition of anonymity. With almost half of Mexico's population living in poverty, a large part of them in rural areas, the rights of communal landholders have long been protected in Mexico. President Enrique Pena Nieto risks major opposition to the reform plan, especially from left-wing groups. Proponents of reform say Mexico is missing out on jobs and investment by failing to give enough cover for investors who worry that, under the current law, they can be forced at any time to renegotiate business deals with ejidos. Offering "legal certainty" to the economic players is fundamental to improving rural development, said Francisco Garcia Cabeza de Vaca, a lawmaker in the center-right National Action Party (PAN) who heads the Senate's land reform committee. "We need to give certainty both to the ejido but also the chance, in a given moment, for the private sector to be able to work hand in hand with the agrarian collectives. This is the big issue," Cabeza de Vaca said. An agriculture ministry spokesman said the department was working with SEDATU on a reform to make the ejidos more productive and that public land rights would be safeguarded. A SEDATU spokesman did not respond to requests for comment. President Enrique Pena Nieto staked his hopes of firing up Mexico's underperforming economy on the energy reform, but a slump in oil prices has made the industry less attractive. The government hopes a land reform could fuel faster growth, encouraging investment in sectors including mining, tourism, power generation, agriculture and transport. Created under a massive land redistribution program in the first half of the 20th century following the Mexican revolution, the ejidos have surface rights to vast swathes of the country. If the reform is passed as planned, it could be the most dramatic overhaul of rural land rights since a 1992 reform enacted by then-President Carlos Salinas. "It would need to be handled very carefully," said Daniel Avila, another PAN senator in the land reform committee. The reform proposal should be sent to Congress during the next session starting in September, the officials familiar with the plan said. Mexico's hydrocarbons law, a key section of the 2014 energy reform, makes companies pay holders of surface rights a percentage of revenue made from exploiting the land. Restricted to the energy sector, the law also lays out how investors must negotiate with landholders for land usage, obliging both sides to make valuations of the terrain. If no agreement is reached, the state must arbitrate. And if the two sides still cannot come to terms, the state can effectively expropriate in favor of the investor and determine what compensation the members of the ejido receive. This part of the energy law would form the basis for giving investors more cover, with the sweetener of revenue sharing aimed at persuading the ejidos, the officials said. "Provided, of course, the state decides using the land is in the interest of Mexico's economic development," said one. Companies from industries such as mining can already broker deals with landholders, but they risk having to renegotiate terms if the ejidatarios later change their minds. Strikes and blockades of their projects often ensue, and agrarian courts have tended to favor the landholders, officials say. 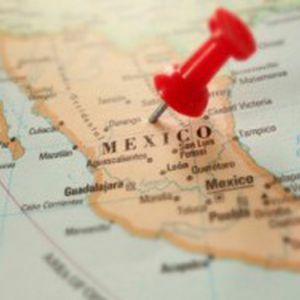 "Strengthening the legal certainty around land tenancy would be very positive for mining investment in Mexico," said Michael Harvey, director of corporate affairs for Canada's Goldcorp , one of the biggest miners in Mexico. SEDATU says just over half of Mexico's 196 million hectares of land are controlled by communal land groups.